The Department of Mathematics, University of the Punjab Lahore, publishes Punjab University Journal of Mathematics. The journal is recognized by HEC and falls in ‘X' category. PUJM is also included in Master Journal List - Emerging Sources Citation Index. All the online papers at our PUJM website from 2016 to now are also included in Web of Science portal. The frequency of the journal is Monthly Basis. The journal is meant for publication of research papers in all branches of Mathematics. The copy of the journal in full text is freely accessible, in order to promote the research in Mathematics. The hard copy of the journal will be supplied free of cost in exchange with other journals of Mathematics. 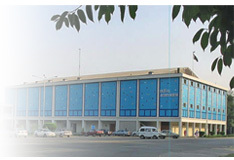 The abbreviated key title assigned by ISSN body is Punjab Univ. j. math. The first issue of the journal was published in 1967 by Prof. Dr. Syed Manzur Hussain (Late).